Dandruff can be non-threatening in most cases, but it doesn’t change the fact that it is very embarrassing. It can severely damage one’s reputation. That’s the reason why everyone wants to treat dandruff at any cost as soon as they discover they’re suffering from it. Dandruff, also known as seborrhea, is basically the shedding of dead skin cells from the scalp (skin over the head). Our skin cells are constantly dying and being replaced by newer ones. Usually the process is seamless and you’ll not even believe that it happens. However, for some reason when these dead cells are not removed, or are generated at a faster rate than they’re removed off the skin, they become noticeable. This dandruff can cause itching, hair loss or may aid in development of acne and pimples, apart from being embarrassing in public. Common causes of dandruff include poor hygiene, improper brushing or shampooing habits, insufficient diet, dry skin, and stress. Dandruff may also be a result skin conditions like psoriasis, eczema or skin fungal infection like malassezia. Well, it’s always better to consult a doctor first, as it would be better if the problem is treated specifically for the involved cause. Depending upon the cause your dermatologist may advise a few things. Some remedies include shampoos containing zinc pyrithione (antifungal and antibacterial), ketoconazole (antifungal), selenium sulfide (slow down the growth and sloughing of skin cells) or salicylic acid (loosen the dead flakes for easy removal). Apart from the remedies your dermatologist may advise, there are also a few natural remedies for you to try at home. As mentioned before salicylic acid (commonly known as aspirin) is part of many anti-dandruff shampoos. But, you don’t always need to buy specific shampoos for that. 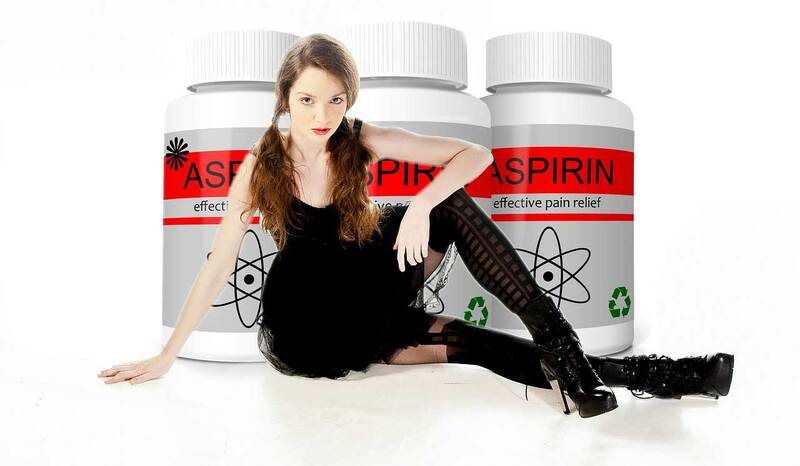 You can mix aspirin tablets in whichever shampoo you’re using. Simply, crush the tablet into fine powder and mix a pinch with your regular shampoo each time you want to shampoo your hair. Apply this mixture on your scalp and hair and leave it for 2 minutes. Rinse thoroughly, afterwards. This oil has been used for centuries for a lot of conditions. Among other conditions, tea tree oil is also known to deal with dandruff problem. 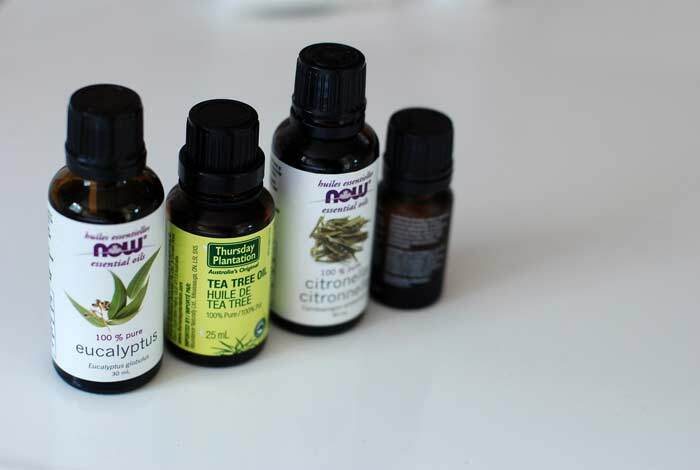 Take a cup of lukewarm water and mix a tablespoon of tea tree oil in it. You may either mix this solution with your shampoo, or apply this on your hair after you’ve shampooed them. Let it remain on your hair for a few minutes. Afterwards, rinse your hair. Additional tip: Take a few drops of tea tree oil and apply on your scalp. Let it sit for 5 minutes, then wash your hair with a mild shampoo. Or, take your regular shampoo add few drops of tea tree oil into it and wash your hair. 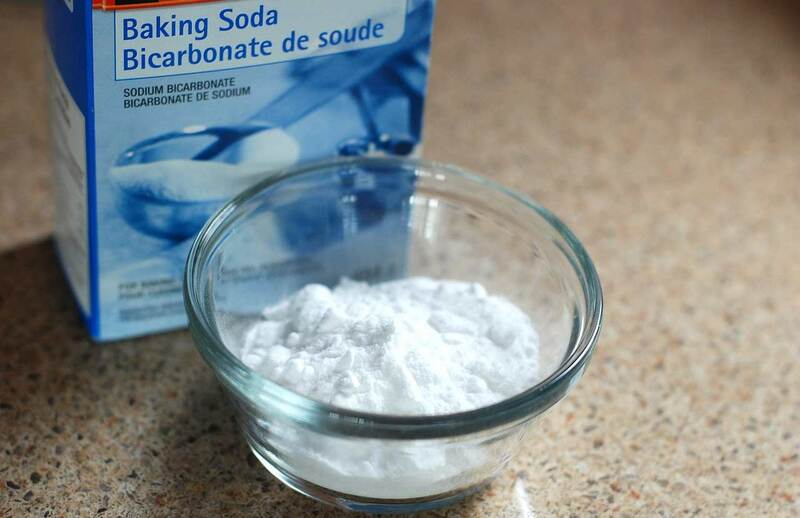 Baking soda is a common ingredient available in your kitchen. It is the key to a flake free and itch free scalp. Wet your hair, then, apply baking soda on your scalp. Let it remain for 70-90 seconds. Then, wash your hair thoroughly but without shampoo. It may cause dry hair at first, but after 2-3 weeks your scalp start producing natural oil. Its antifungal action treat dandruff by eliminating yeast infestation. Mouthwash can even remedy ugly cases of dandruff. All you need is an alcohol-based mouthwash and a spray bottle. 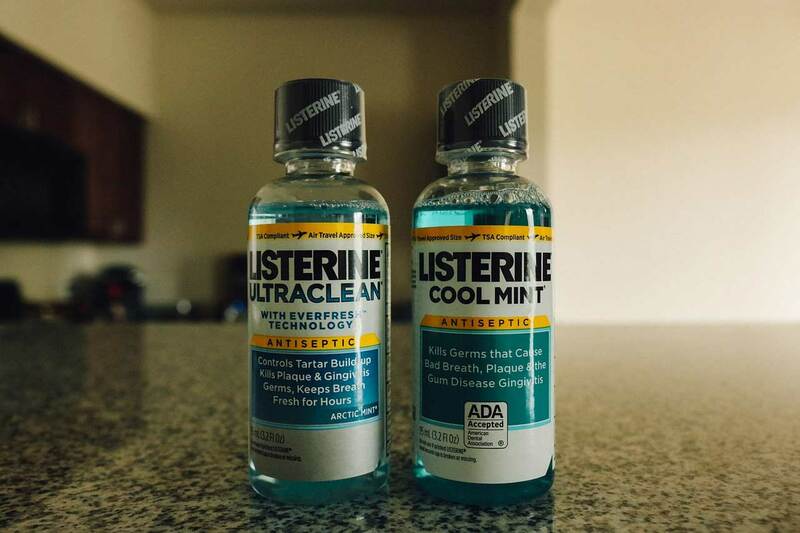 Take 2 tbsp mouthwash and 4 tbsp water, mix them well. After shampooing your hair, spray this solution on your scalp. Gently massage your scalp and leave it for 30 minutes. After half an hour rinse your hair with fresh water. Coconut oil has mild anti-fungal action. It’s a good remedy to treat dandruff as well. And, best thing, coconut oil is easily available in market. In fact, you may already have it at your home. It nourishes your hair and scalp, thus, prevents dandruff. Take same oil and apply on your scalp. Gently massage your head. Let this oil remain for an hour. Then, wash your hair with regular shampoo or you can use selected shampoos which contains coconut oil. Or, you can add some lemon juice in coconut oil, mix them well. Apply this on your scalp and leave it for an hour. Wash your hair with your regular shampoo. 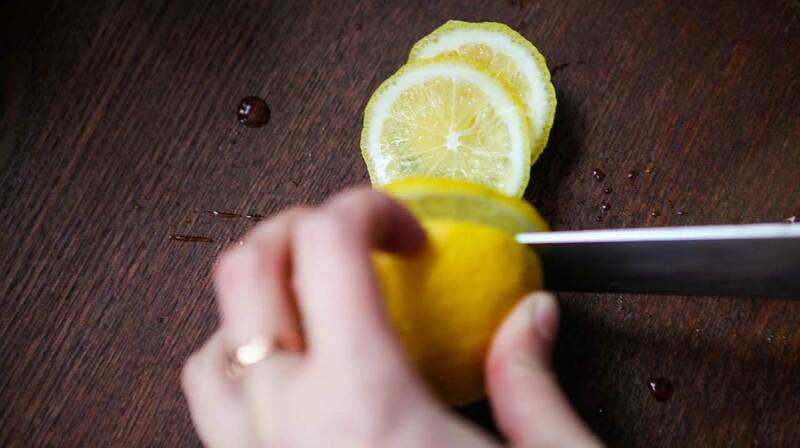 Lemon is a very common ingredient present in all kitchens. It miraculously treat dandruff. Its acidity balances pH level of your scalp, which forces dandruff away. Besides curing dandruff, it makes your hair shine. It’s a natural remedy free of harmful chemicals. First, massage your scalp with 2 tbsp of fresh lemon juice. Let the juice remain on your scalp for a minute. Afterwards, take a solution of 1 tbsp lemon juice in 1 cup of water, and use is to rinse your hair. Repeat this method daily to permanently treat dandruff. 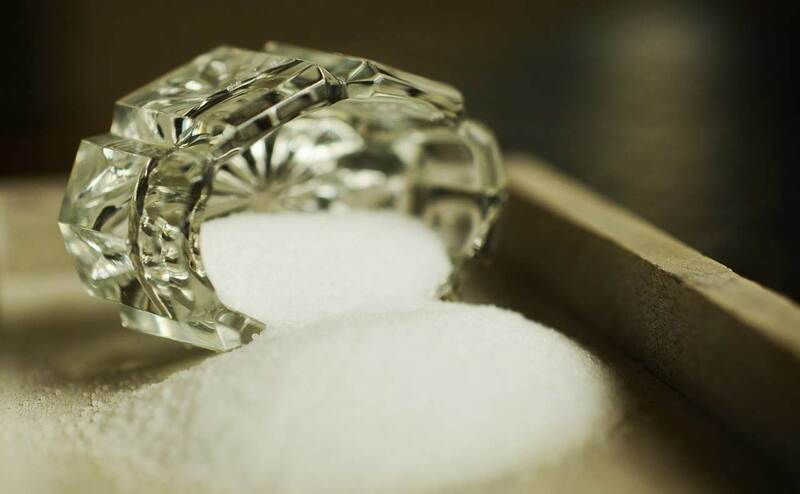 You use salt to make your recipes delicious, but did you know, salt could cure a case of bad dandruff as well. Salt’s abrasive crystals acts as natural exfoliator. This helps in getting rid of excess oil and dead skin. Rubbing salt on your scalp feels good, especially on an itchy scalp. Though epsom salt works wonder on your scalp, you can use regular salt as well. Take 3 tbsp salt, and softly massage your scalp with it for 2-3 minutes. After massage immediately shampoo your hair to remove all traces of salt, as residue can do more harm than good. Aloe vera is one of the most useful herb. It has different uses like healing minor burns and soothing your skin, or removing tan. Aloe vera is also found useful in ridding your scalp of dandruff and soothing itchy scalp. It slows down cell growth, thus delays cell death. In cases where dandruff is a result of excess cellular growth, aloe vera helps in countering the process. 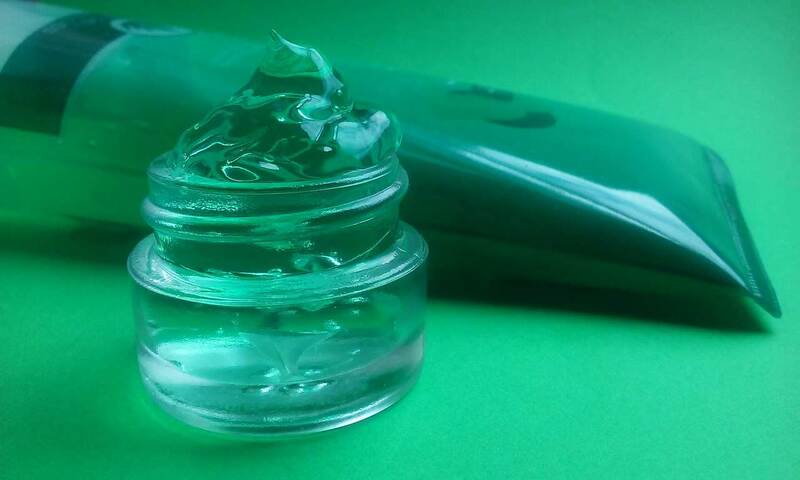 You can either buy aloe vera gel from market, or make one by yourself at home. Apply this gel on your scalp and let it remain for 15 mins. Afterwards, wash your head with your regular shampoo. Olive oil is a multipurpose oil, also having great use for your hair along with other benefits. Its mild antibacterial and antifungal action helps to treat dandruff from infections, besides ridding the scalp of itching. 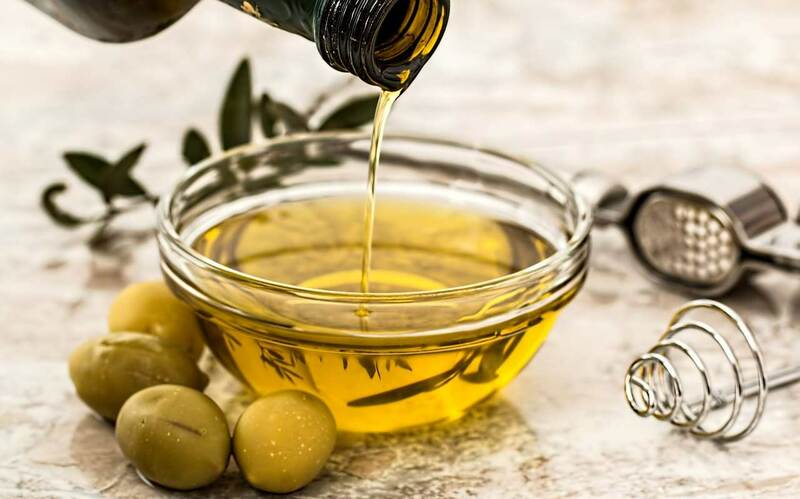 Olive oil is also rich in Vitamin E, a protein required for keeping good hair health. Take extra virgin olive oil, and slightly heat it. Then, apply it on the scalp and gently massage your head. Afterwards, cover your head with warm towel. Leave it for 45 minutes before shampoo or you can also let it overnight and shampoo in the morning. You can also switch to shampoos containing olive oil. Remember to condition your hair with a conditioner or other means after shampoo. Repeat for a few weeks for best results. Henna, also called Mehndi in India, makes for an excellent hair conditioner. It’s use nourishes the hair and makes them healthy. In India Mehndi is commonly used to treat dandruff, soothe itchy skin and remove excess oil from scalp. 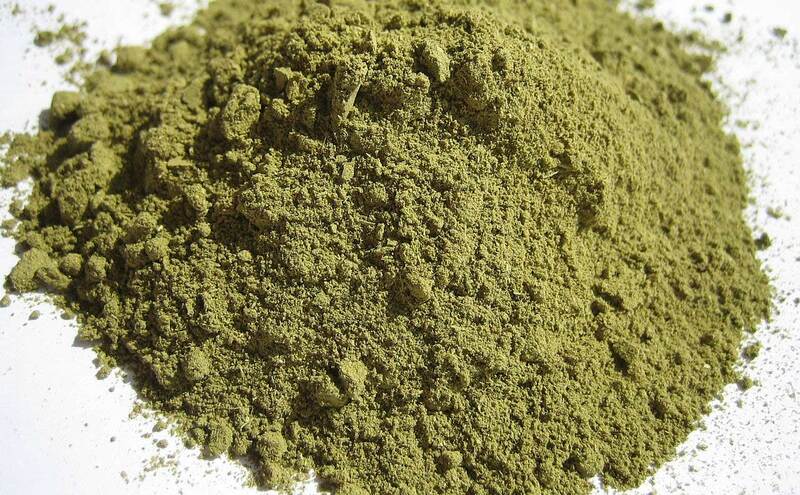 Take equal portions of henna and amla powder according to the length of your hair. You can add a few drops of lemon juice and olive oil as well. Add small amounts of water to make a thick paste. Apply it on your hair and scalp, leave it for approximately an hour. Afterwards, wash your hair. Alternately, take henna and to it add tea water along with curd and lemon juice. Leave this mixture for at least 8 hours. Afterwards, apply it on your scalp and hair. Leave it for 2 hours on your head. Wash after 2 hours. Neem juice is an excellent natural antibacterial. 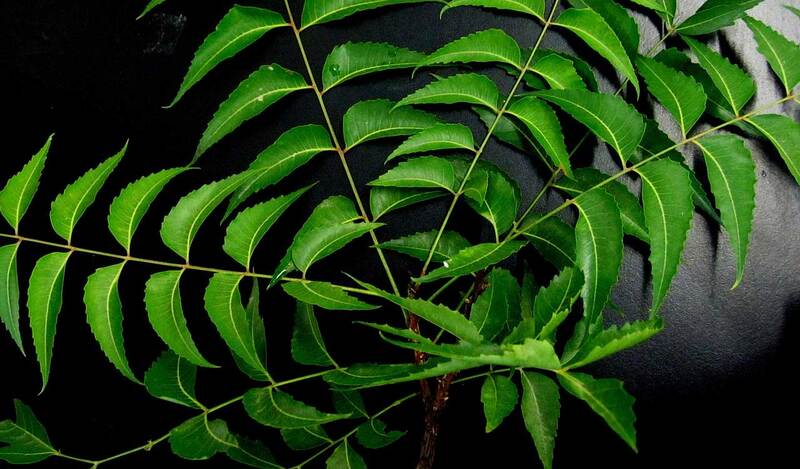 Apart from a lot of its benefits, neem juice is also helpful in dandruff. In a little water, add a bunch of neem leaves. Grind them in a food processor to make a thick paste. Apply this mixture on your hair and scalp and leave it for 8-10 minutes. Wash your hair with fresh water. 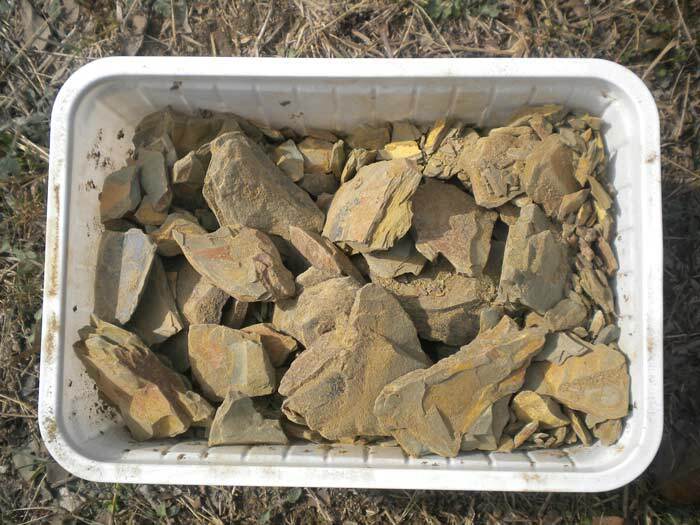 For centuries multani mitti has been used in India for several purposes. 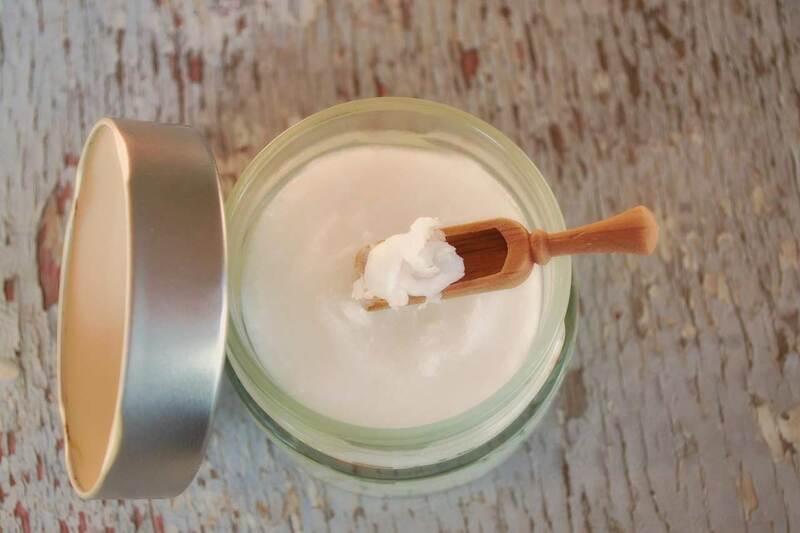 It makes for an excellent hair pack, making your hair soft and silky and overall nourishing them. Multani mitti can also treat dandruff. Simply take multani mitti and make a thick paste in water. Add a few drops of lemon in it. Apply this paste on your scalp and hair, and leave them for 20 minutes. Afterwards, wash your hair with fresh water. Curd is another effective way to treat dandruff, only it’s a little bit messy. 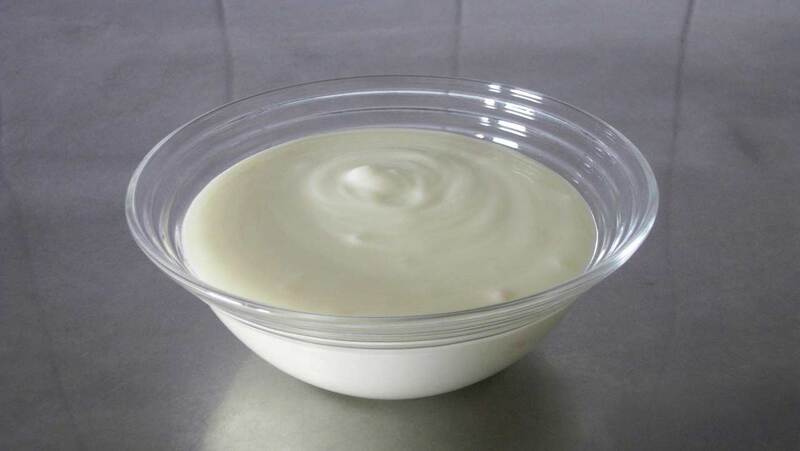 Whisk some curd and apply it on your scalp and hair. Leave it for an hour. You can wash your hair with a mild shampoo afterwards. Next articleOpen Pores: What are open pores, what causes them and how to get rid of them with traditional treatment and home remedies for open pores?